[DISCUSSION] All Our Favorite Ground Pokémon! Legends in making! I'm 0kamii, and today I want to do a throwback to one of my most popular series on the site! It's been a while since I made one of these "All Our Favorite" posts, and the last one I wrote, "All Our Favorite Fairy Pokémon" actually ended in a draw between Ground-types and Ultra Beasts. So, because I have a personal attachment to one specific Ground-type, I've decided that I'll do Ground-types this week, and come the 30th, I'll make one about Ultra Beasts before I put up a poll for the next "All Our Favorite" post. In other IRL news, I've been learning how to use OBS thanks to our great mod @stephenWITNESS, and I'm learning how to record and edit software thanks to the help of @The_Flaine and @LittleFoxS. Don't know when my first video will be out, but reassured that y'all have given me enough encouragement to attempt a YouTube channel. We'll see how that unfurls in the coming months. For now, enjoy this resurgence! 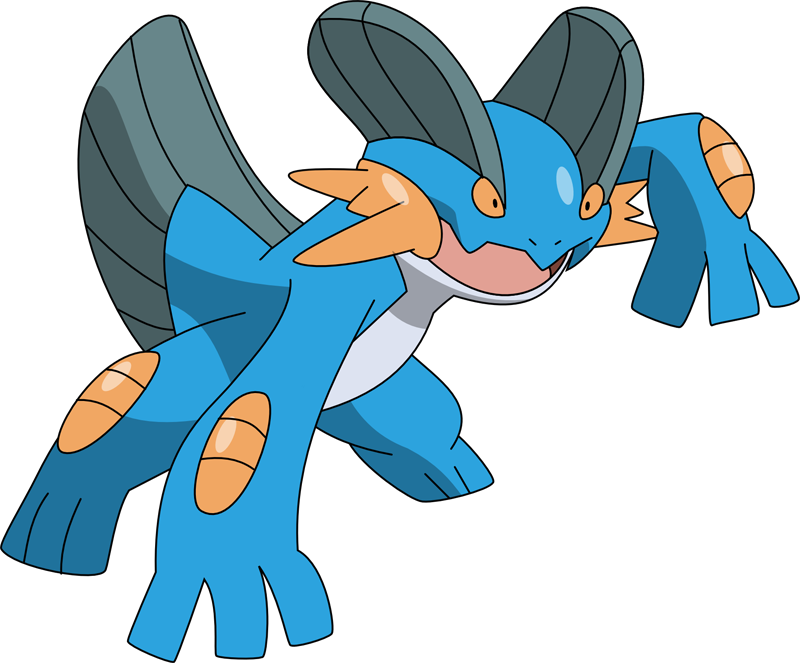 Swampert may seem like an obvious and/or boring pick because it's a starter pokémon, but the once I looked back over my history of posts on this site and realized that I'd never actually talked about my very first starter pokémon, I felt a little ashamed. Back in 2002, when I was a far less experienced trainer, my brother, his friend, and I all got the newly release pokémon games. It was the first time my parents let me play a pokémon all on my own, as prior to then they thought I wasn't old enough (I was 6 when RS came out). My brother and his friend organized a system that let us get all the starter pokémon, but to do that each of us had to choose a different one. My brother chose Torchic, his friend chose Treecko, which left me with Mudkip. I hasn't realized it yet, but Swampert would soon turn into one of my strongest pokémon ever, and given that I had little knowledge of the game at the time, I thought my mud-buddy here was unstoppable. I even remember giving it the TM for Ice Beam, and I managed to beat both my brother and his friend, which is poetic justice considering they both thought Mudkip was the worst of the three (hence why they made me take it). And now, 16 years later, Swampert is still one of my all-time favorite pokémon overall and one of my most trusted friends. This was the mon that started it all for me, and for that reason alone, Swampert is [and likely always will be] my favorite Ground-type. I also recently Shiny hunted Swampert, and even though I think its Shiny is rather underwhelming, it was greatly satisfying to add a Shiny version of my first pokémon to my collection. He hatched after only 130 eggs, proving in my mind that my beloved mud-buddy loves me too. 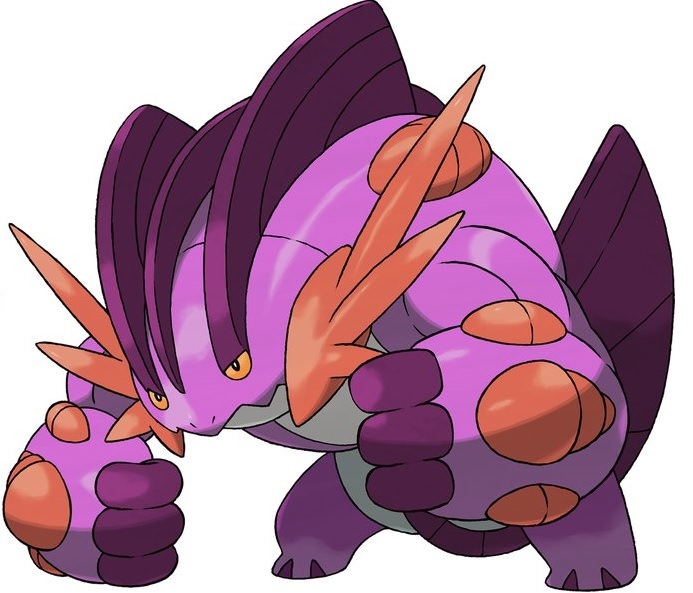 Also, the image of a purple, swole Swampert just makes me giggle. Swampert's muscles must be magically macho! Krookodile is one of those hidden gems from Gen 5 that I think is grossly under-appreciated. Krookodile is one of those rare mons that has the perfectly setup for success, yet held back only by playing it badly. STAB Earthquake and Knock Off are two things that can't be ignored. Couple that with great immunities to Psychic and Electric, a good Speed tier, and the perfect split abilities in Moxie and Intimidate (making for a solid choice in Singles and Doubles), Krookodile is a mon that I will continuously defend from all nay-sayers because I just don't see the argument for why it and so many other Unova pokémon are bad. I've used Krookodile many times through Gen 5, most recently in my Black 2 Nuzlocke. She was a solid force in the Elite Four, but she ultimately fell to Iris' Druddigon (RIP Sobek). I also like Krookodile's Shiny a lot more than other people, mainly just because of how expressive Krookodile becomes once we can see its eyes. It's just all around a great mon, and I think Ryota Otsubo would agree. A mon that I've only recently come to love is that of Camerupt, and it's mainly for two reasons. 1) There's a heavy shortage of reliable Fire-types in Hoenn if you didn't choose Torchic, which I didn't and 2) even though I'm not overly fond of its Mega's design, I have to respect the power that Mega Camerupt comes packing. Our resident VGC expert, Aaron "Cybertron" Zheng even showcased the power of this behemoth with the assistance of Hong Kong player Edward Cheung on his YouTube channel. The raw impact of Camerupt's Eruption leaves a dent in many foes, and makes me really love the fiery camel far more than I ever did. It is worth noting though that this all started before Torkoal got Drought, which effectively makes it a better Eruption mon. I used a Camerupt during one of my Emerald playthroughs, and I remember having a lot of fun with it, even if it was prone to getting swept away with the tide. Still love you, old bean. Also, Shiny Camerupt looks like this. 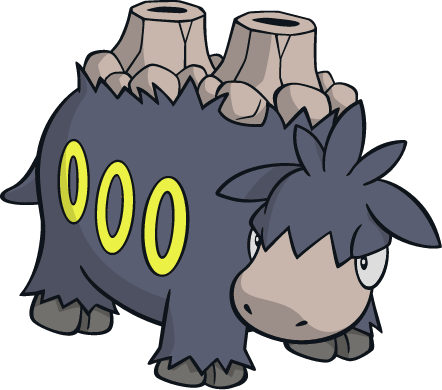 And finally, Donphan is a pokémon that I've loved for a long time, but only recently have been resmitten with. I fell in love with the cuteness that is Phanpy way back in Gen 3, where I thought for the longest time that it was a Hoenn pokémon. Turns out, the Long Nose Pokémon and its evolution are from Johto, and for a time I gravitated towards other pokémon. However, back in 2016 when I seriously started Shiny hunting, Shiny Donphan was the third Shiny I hunted, and I got it after my then longest hunt, 521 eggs. Which looking back is...well, average. Oh, what a greenhorn I was. Sadly, it hatched female. I wanted a male so I could nickname it 'Donald Trunk.' I wound up calling it Pachyderp instead out of spite, and she's still one of my favorite Shinies in my collection. Not only that, but I've also recently bred a very gimmicky Weakness Policy set for Donphan that I intend to use in recs next time my friends want to battle. It's design is simple yet distinct, it's got a lot of personality, and I just love elephants period. So it's no wonder why I really liked Donphan. That's all I've got for today's post. I know it's been a while, but I hope this made up for things. 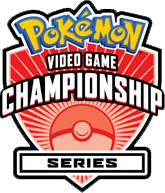 I'm tempted to do a team analysis post of the top 8 teams from the NAICs this passed weekend, but I've yet to see if there's a demand for such a post. I also need to update the VGC tier list I made, and start organizing this month's A0 giveaway. I'm going to be a busy, busy Combee these next few months, especially with fall classes starting, but fear not, good PokémonForever denizens, ol' 0kamii is here to stay! Don't forget to check out my new animo page, OaiiKami, and don't hesitate to stop by our weekly streams every Saturday over on stephenWITNESS's twitch channel! Thanks for stopping in, and I hope y'all have a great rest of your day! What is your favorite Ground-type pokémon, and what's your favorite way to use it? Looking forward to all the replies, and don't forget to keep it rated-G. Read you all soon! My main man Garchomp is mine, all the way (being my favourite mon in general and all), but past that I don't really like many ground types. Except maybe Diglett, a guy like that demands respect. My first mention goes to Krookodile. Back when I was 6 I got the brand-new title in the Pokemon franchise (at the time) Pokemon White. This game would be the game that sparked my love for the series and gen five. This game also sparked a love for 3 Pokemon in-particular being Krookodile, Snivy and Stoutland. When I played through that game I caught whatever I thought looked cool and to my six-year-old mind thought that sandile was awesome (no clue why). I trained her up and she and Serperior carried my team through the game. Second goes to Garchomp. So Garchomp was one of my best Pokemon from my playthrough of X. She used dragon claw and EQ to demolish anythig in her way. She usually had protect and the other move slot was either Outrage, Sword Dance or Rockslide. And 3rd goes to Geodude. This is a Pokemon Ive never know why I liked, however he is easily in my top 10 mons. Uh, Dugtrio, both forms, I guess? I absolutely love Donphan and I think it deserves better recognition! I have been using this support set in my OU team with a satisfactory degree of success for about one year now. Lately my ranking is around 1400 and it is getting harder to move to the top because my self-imposed rules of not using a team with more than two non-fire types and the omnipresence of the likes of Landorus-T, Toxapex, Zygarde, Greninja-Ash etc. But I don't mind, because for me playing with my favorite mons is what makes the game fun (and the victory worthwhile)! 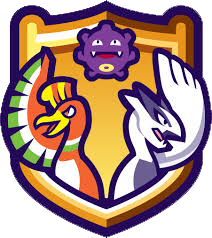 Hard question for a PvE person, for Battle Tree, my favourite will be Gilsor, Garchomp or Landorus. For game playthrough, my vote goes to Nidoking because of movepool, well most Gen 1 Pokemons have ridiculous movepools. I'm not the biggest fan of Garchomp. I don't know, his design is a little...off-putting to me. Since Gen III's Reboot got a special place into my heart, my favourites are Swampert and Groudon (although I like Kyogre more from the cover legendaries). Also, with Gen VII I have another preference, Mudsdale, helped me along the game and it's just a design I love.